Eight days til Christmas and we are now more than half way done with our Christmas Ornament Countdown. Cheri’s Teeny Tiny Places was just awesome! My ornament for today is based on some crochet work I am doing for another Christmas present and just sort of made itself up last week. 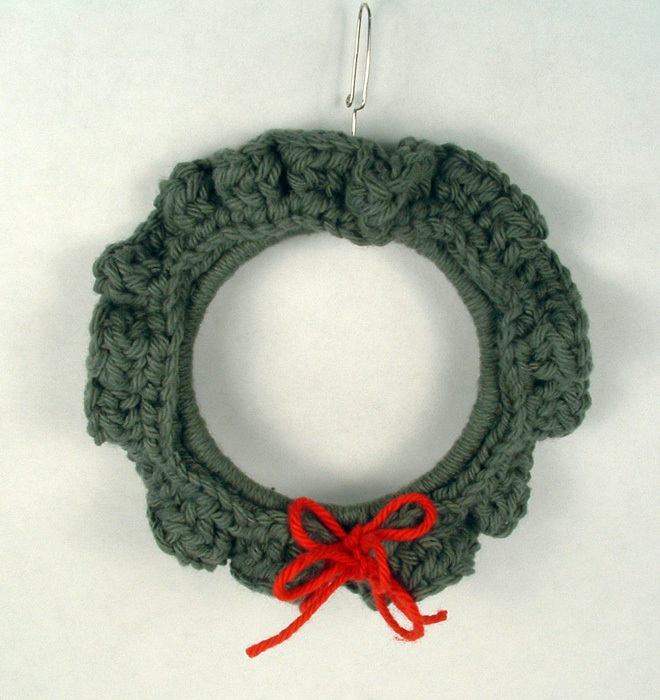 It is a simple wreath made of green cotton yarn. 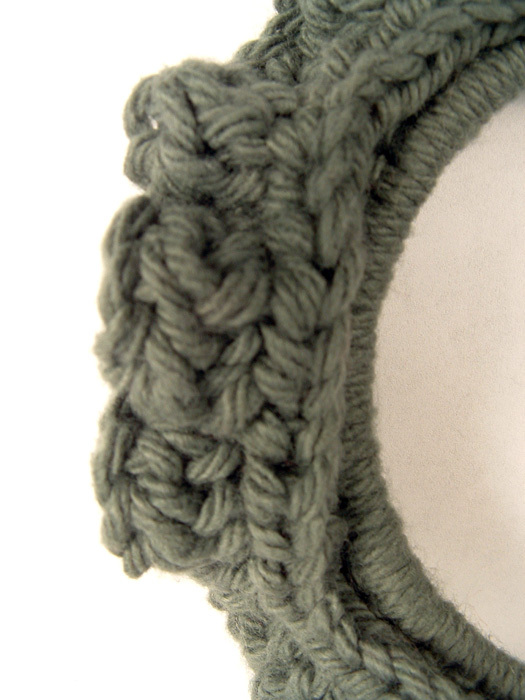 I used a 3″ in diameter metal ring for the base, making a single crochet stitch around for the first row. The next row is half double crochet and the last row is half double crochet as well, but is stitched into the front leg of the first half double crochet row. This gives the wreath a nice thickness and also makes what I call a pie crust edging. 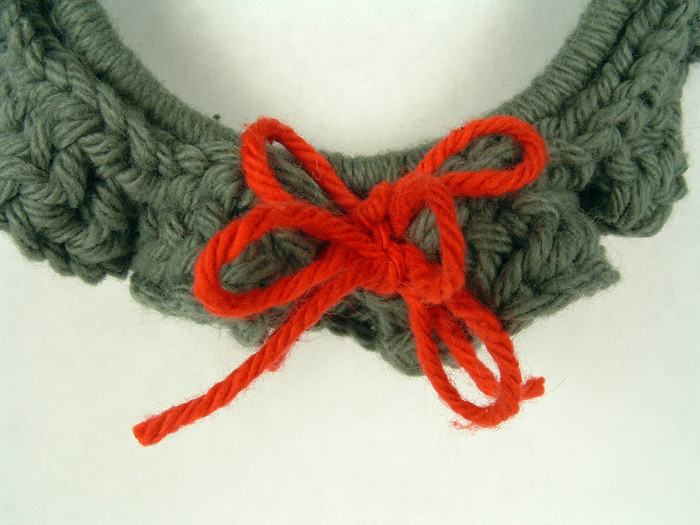 The bow is made with red cotton yarn. I pulled the yarn through the stitching at the bottom of the wreath and made a standard shoe tie bow and then used the ends of the thread to make two more bows. Nice and easy! Christmas Ornaments will be needed again in a few months. i always buy my christmas ornaments from best buy becaue they offer massive discounts. `”””.